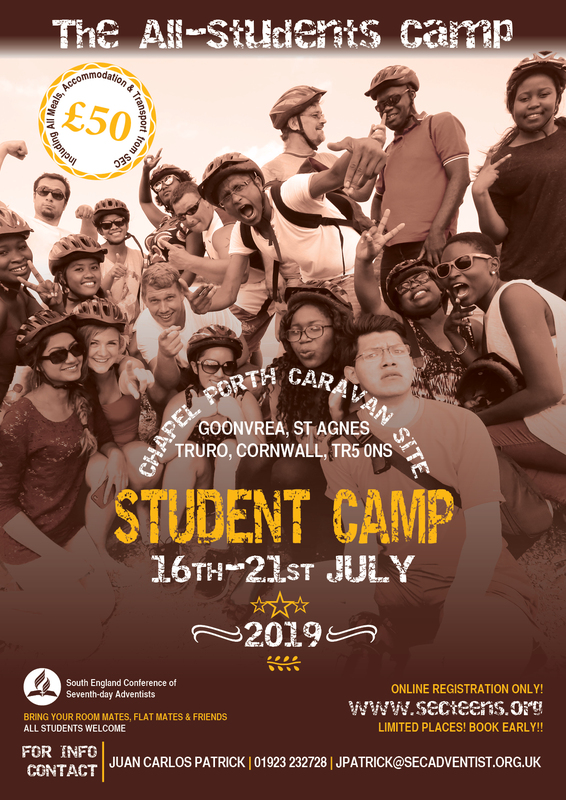 Student Camp takes place in Chapel Porth, Cornwall, a peaceful seaside retreat that makes a welcome change from the urban familiar. This year’s camp is open to students of all kinds in post-16 education (sixth form, college, university, etc) from all over the UK and beyond. 1. Your place is not reserved or guaranteed until we receive: (i) complete registration form, (ii) payment, (iii) signed parental consent (for those aged 16 or 17). 2. Places are limited and will be allocated on a first-come-first-served basis once we receive the required items above. 3. Registration will close as soon as we reach capacity (this may be before the advertised registration/payment deadline). 1. We will issue a full refund if you cancel your booking by (or before) the advertised registration/payment deadline. 2. Cancellations received after the advertised deadline, but 15 days or more before the event start date will be refunded in full as long as we are able to fill your space. If a replacement delegate cannot be secured, no refund will be issued. 3. No refunds will be issued for cancellations received 14 days (or fewer) before the event start date. You will receive your payment receipt directly from PayPal, and a booking confirmation from the SEC Chaplaincy department should follow within five working days. If you haven’t heard from us after one week, please call or email (campusministries@secadventist.org.uk) — there is no need to send your PayPal receipt unless we specifically ask for it. You can also make a debit/credit card payment over the phone by calling the Chaplaincy department on 01923 232728.